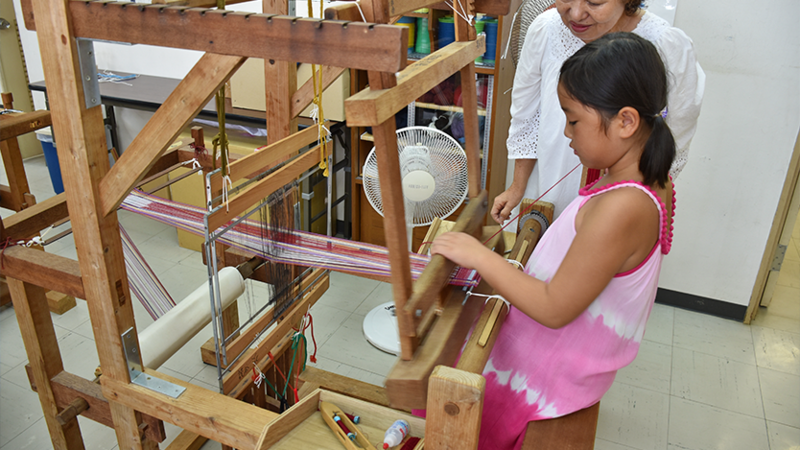 Let's weave Yuntanza-hanaui and Yuntanza-minsa that have history of about 600 years and make coasters by yourself. You can bring back the coasters you made! Please add color to your home with gorgeous Yuntanzahanaui's design you made by yourself. Children must be accompanied by guardians, and need to be tall enough so that their feet reach a step ladder.